After finishing the Melbourne marathon in October, 2017, I was on the look out for a new challenge. Having had Luke Glapa move over to Canada it was always discussed that we should head over for a race at some stage. After assessing my options. I decided if I was going to make a big trip out of it I may as well sign up for my first 100 miler especially since sinister 7 fell on my 30th birthday. What better way to celebrate by running 100 miles through the Canadian Rockies. I have been training under Coach Jonathan at ‘Up Coaching’ for a few years now. Jonathan passed on some great advice which proved to be very helpful throughout the lead up and during the race. Leading up to Race day I signed up to a few races to get a feel of how my training was going. The first being UTA 100km in May this year. During this run I tried to take it easy and get a feel for running the longer distance, but at the end of the 100km I did not feel like I could have gone any further and was rather spent. The next lead up race was the 52km Broken Arrow Skyrace in Squaw valley California on June 15th. After arriving at midnight the night before after 30 hours of travelling I awoke feeling a bit flat. 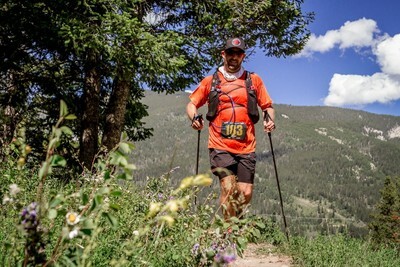 I was welcomed quickly to the vertical mountains of the Americas with steep climbs and technical descents which are not my strong point, but the mountain scenery was awesome and I pushed through for a time of 7h 41 minutes. I spent the next week in and around the Sierra Nevada mountains with minimal running but plenty of long hikes in Yosemite Valley and a Mt Whitney ascent (4,421m). Acclimatising to the higher elevations definitely helped me feel stronger and this gave me a lot of confidence for sinister 7 as I knew the long power hiking hills was critical. ​I also threw in an escape from Alcatraz duathlon (swim, run) surviving the 13-14 degree water and strong currents to finish in 5th place. In the week prior to the race I did minimal running. 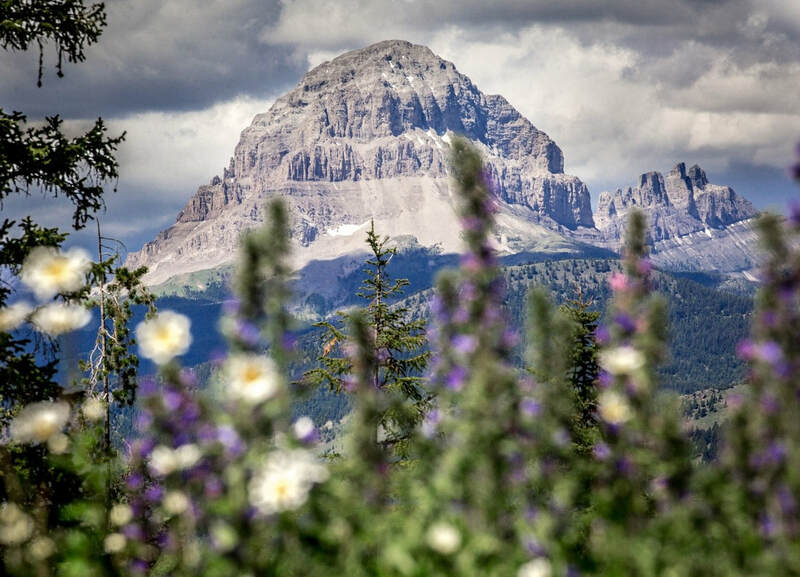 We made our way up to Canada and to Blairmore, Alberta arriving on the Thursday with a few days to get used to the area. Friday was spent organising logistics and food, checking locations of check points and ensuring Kuranda was happy at navigating and driving by herself. We met with Luke and Sam the night before at the briefing and finalized tactics for the next day. Luke had spent a weekend training on the course 4 weeks prior and was able to fill me in on a few pointers which were very beneficial during the race. I struggled to sleep the night but got up ready to go and met Luke at the start line at 6.30 am and before you knew it we were off. Leg 1 left town following the trainline through an area called the Frank slide thanks to a massive rock slide that destroyed the town in 1903. 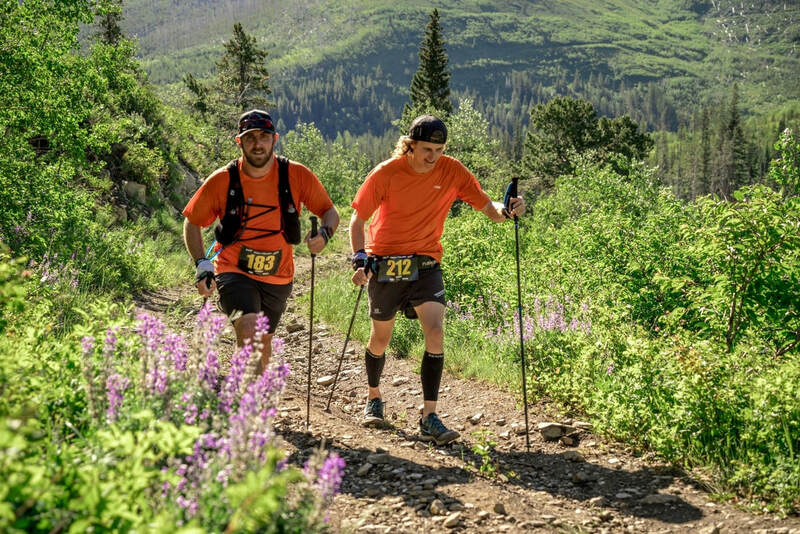 I ran this leg comfortably with Luke, although we felt good neither of us felt the need to run hills or push too much early on, a lot of other racers were pushing past and this would later hurt them dearly. At check point 2 I grabbed my poles and started into a solid climb through hasting’s ridge. When we got towards the top Luke said he wanted to push a bit so as not to get caught on the single trail descent, however I really struggle on the descent so I would never see him again after this point as he made his way through the field. I finished leg 2 feeling good restocked nutrition and started the next climb through the Pass Powderkeg ski resort. I passed the lodge which opened the bar for spectators which I could easily have stopped and spent the rest of the day here. Leg 3 is the leg everyone talks about as being the make or break point of the race with the nickname of ‘Satan’s Sack’. This part of the course is dry, hot and exposed. With 31km and 1300m of vertical gain in the middle of the day the leg was testing to say the least. I wore a buff full of ice around my neck and refilled it at each check point to cool myself down. I did a lot of walking during this leg but always kept moving forward and power hiked a lot of the hills. Moving onto leg four 65km into the race we were greeted with some fun mountain bike trails. This section reminded me a lot of Glenrock and I felt really comfortable on the start of this leg. Then it moved into some steep climbs and ridge runs that had some great views. At the aid station around 80km in there was a river crossing that was waist deep and I ended up fully submerging myself to cool down. Checking my watch at this point I saw it was already 11 hours 45min into the race. Although I was feeling good I’d been planning on achieving a time around 24 hours and being half way through it felt daunting to be able to complete the same distance in around the same time. However, after this aid station the course opened up and I managed to find a relay runner that was moving at a nice comfortable pace and ended up running with her for the last 8km of the leg moving around 6 min pace on the rolling hills. Coming into the transition area at the end of leg four I sat down for the first time and had a bit of dinner, potatoes and a jelly cup, then grabbed a few extra potatoes and continued on my way. Leg 5 started off with a bit of road running and crossing the highway to head on a loop around mount Tecumseh, this leg had lots of mud holes and exposed roots and a few water crossings. This leg was rated as the 3rd hardest but was very runnable and I was still moving ok considering. I ticked over 100km at around 14 hours 30 min with my watch dying 10km later. The sun set midway through this stage and although there was plenty of runners on the course it always crossed your mind of what you would do if a bear or cougar popped up out of the bushes. Coming into the transition area for leg 6 I knew it was close to midnight but without my watch I wasn’t quite sure. As I came into the transition I was met with Kuranda and Sam singing me happy birthday and they had found a cupcake with candles. I’d made it to the check point about 10 minutes before midnight and was hoping to get out on my way to avoid the fuss but was very appreciative of the girls for organising this. Leg 6 is rated as the hardest of the 7 legs with 32km and 1400m elevation gain. Luke had mentioned before the race that he reckons this leg wasn’t too bad and if we got through leg 3 it was smooth sailing. I ran the first 3km and then slowly climbed up the mountains with each km seeming to slowly get steeper and steeper. Without a watch I had no idea of how far it was to the first aid station and I was thinking I was about 4km in. But then when I rounded the corner I saw the first aid station which was at 8km, this was a great boost and I refuelled and kept on moving up. The next 5km was a long slog up the mountain which followed a river up and there were sections of the bank that had collapsed and you had to be careful not to fall in or loose your footing. The temp dropped to around 4-5 degrees but I felt comfortable running in shorts and a shirt as I generate a lot of heat and it was good to stop sweating for a brief period. As the climb continued the mountain flattens out for a few hundred metres as you think you have reached the top but no it’s a false summit and you’re met with another 300m climb to the top. I reached the top around 2.30 in the morning and was relieved to start the descent back down but the loose rocks and lack of visibility made it no easy feat. The last 5km of this leg covers the same part of the course as the previous leg. For this section of the race I met another relay runner who picked up on my Aussie accent and we shared stories of our travels and her time spent in Australia 10 years ago. This made me forget about the race and I ended up feeling good and dropped her over the last few kms to finish strong coming into the final transition area. This was probably my quickest transition as it was 5.30 am and I had an hour and a half to cover 11km to get in under my goal of 24 hours. I took off at a solid pace for the first km then was met with a steep climb and probably went a bit hard on the start of this climb and suddenly I was feeling pretty low again. The climb was followed by a steep descent and I still wasn’t moving all too well. I walked/jogged a lot of km in this last 5-10km but as soon as I hit around 2km to go I started to move ok again and pushed through and was met by Kuranda to run the last 200m across the finish line. Finishing in a time of 24 hours 6 minutes at 7.06 am on the 8th of July. I received my engraved beer bottle, 100mile belt buck and awarded the title of being a ‘sinner’. I was surprised to have finished in 17th place. 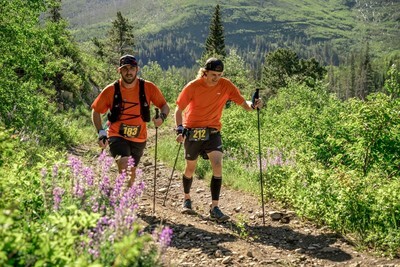 Finding out Luke Glapa had moved through the field to finish in 2nd in a time of 20 hours was an awesome result and it was great that he and Sam were there waiting at the finish. After the race we went back to the hotel to get some rest before the presentations it was good to get off the feet. We made our way back to the finish line to watch the final finishers and awards ceremony. 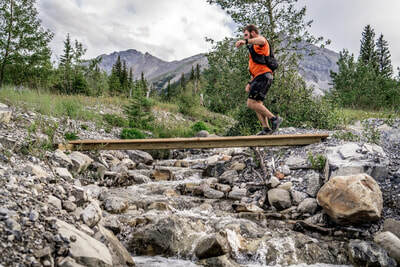 There was a 30hour cut off which was strictly enforced meaning that some racers made it all the way to check point 6, 150km into the race but weren’t allowed to continue to the finish line being told they had to try again next year. The Canadians seem to have a different attitude to undertaking a 100mile race. A lot of the racers had never even done a 100km race some making the jump straight from a 50 miler to the 100miler. Others were on their 3rd or fourth attempt after not finishing the previous few years but they somehow just brush it off and try again the next year. 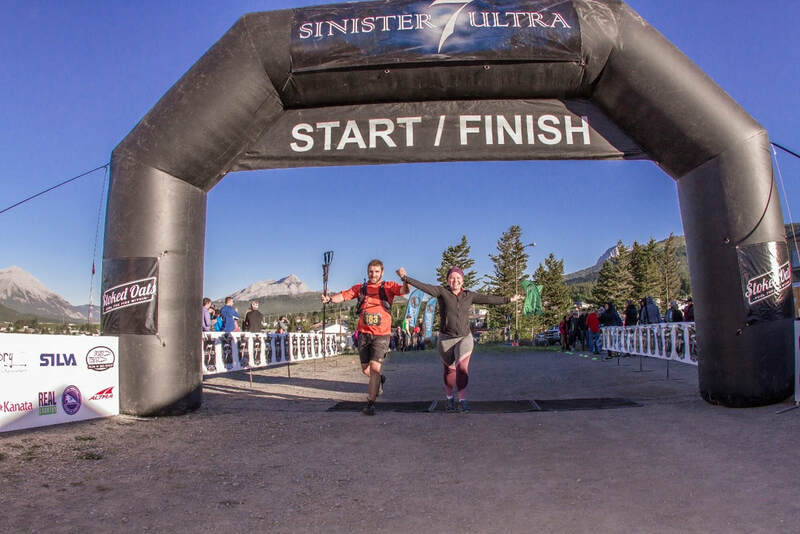 Others had failed previously and this was their first time completing the distance and it was great to see the adversity of runners that were able to achieve this. The race would not have been possible without the help of my girlfriend Kuranda as an excellent support crew. She was always there ready with my food and hydration and provided encouragement which was great to help me get through the race! Thanks Kuranda! For anyone considering stepping up to a 100miler just go for it. To be honest I was expecting it to hurt more, sure I had plenty of ups and downs but I never felt like it was impossible to keep moving forward.